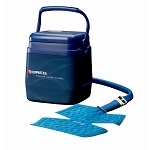 Temp-Pad® cold therapy pads utilize the latest technology to provide superior controlled cold therapy and are ideal for use with the Penguin Cold Therapy cooler, the CSZ Electri-Cool II and Portable Cold Therapy Unit. 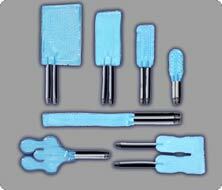 The Universal pad is shaped to be used almost anywhere on the body. It is great for wrapping around joints like the knee, elbow or shoulder, or can be used in larger areas like the back or legs. Pliable, even at their coldest, foam-backed urethane Temp-Pad® products resist stiffening and conform better to body contours. 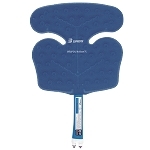 The random flow pattern assures a consistent temperature across the pads for uniform therapy, while the foam insulation on the pad and hose help prevent condensation. I am currently under the care of a doctor or medical professional who has recommended or prescribed this product. AspenGoldMedical.com is only a distributor of the product and in no way assumes responsibility for any injury it may cause due to malfunction, misuse, inappropriate application, or other reason. I agree to read and carefully follow the manufacturer's directions provided with the unit. I understand that I will assume all responsibility for the use/misuse of this unit. 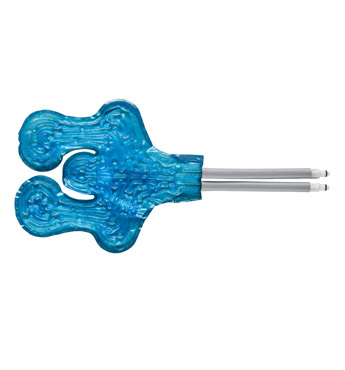 AspenGoldMedical.com cannot provide specific instructions as to the product's application or use beyond those provided by the manufacturer. By purchasing this product you certify that the above statement(s) is/are true. Please consult your doctor if you are Diabetic or suffer from poor circulation or neuropathic (nerve) disorders. Due to the medical nature of this product, we cannot accept returns once the product has been opened unless defective and covered under the manufacturers warranty. The cooler, pump, wraps, pads, and accessories are covered by a manufacturers warranty of three months.